It's no secret that the Italian culture is synonymous with great pizza. With the history of "pizza" dating back to the 10th century in Central Italy, it is clear Italians have a lot of experience when it comes to preparing a perfect pizza pie! 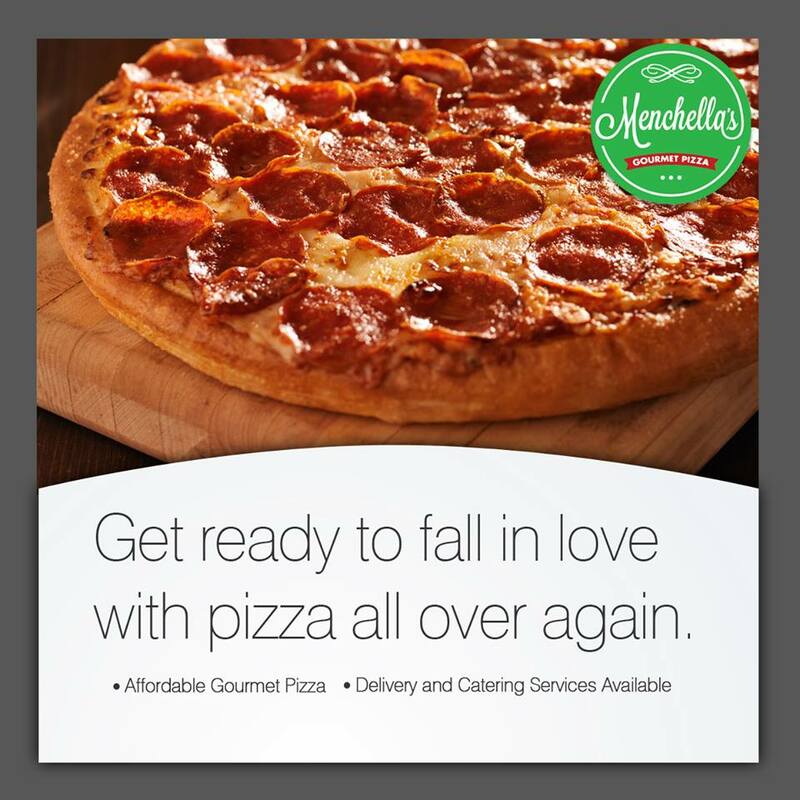 Michael Menchella, and Mark Menchella, owners of Menchella's Gourmet Pizza located in Oakville and Toronto, are part of the Italian community and have many years of pizza making under their belt. Growing up in the kitchen with their nonna (grandmother), the brothers learned early on the art and craft of making delicious food. Their grandparents, Ernestina and Pasquale, owned their own successful pizzeria back home in the small town of San Lorenzo in Lazio, Italy. Although the couple did not have the means to open up a pizzeria upon immigrating to Canada, that didn't stop Nonna Ernestina from teaching her grandchildren her tricks in the kitchen. 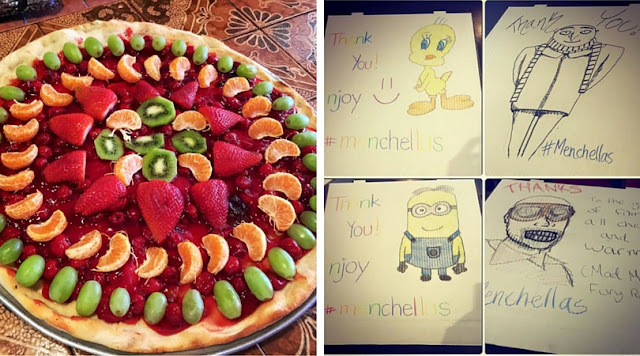 Years later, inspired by their grandparents example, the Menchella family decided to continue on their tradition and open up their own family pizzerias. I had a chance to chat with Michael about the secrets behind great pizza, the importance of family traditions and of course...what he finds dolce in life! 1. You consider your grandparents your inspiration. Can you tell us about them? My grandmother taught me, from a young age, all about baking. In the time of war in Italy, goods were scarce, so they made a lot of their own ingredients from scratch, like their own flour, sauce...everything came from their farm. It was a natural thing for them to make their own goods, and then they sold them as well. When my grandfather came to Canada, he had $5 in his pocket. My grandmother would work during the day, and my grandfather did the night shift, so they never had the opportunity to open their own place again. Today, my grandfather is 98 years old and thrilled about our pizzeria. He even sometimes goes to the location in downtown Toronto and helps with the prep work! 2. Many of your ingredients are imported from Italy, why is this important to you? We want to try to keep it as authentic as possible, as if it were back in the day and my grandparents were doing it their way. 3. What does your Italian heritage mean to you? It's everything; without our heritage, we are just another chain of a thousand pizzerias. We offer what we learned from our grandparents. I didn't open up the pizzeria because I was looking for a new career; I had a job, I could have stayed there and earned my paycheck. Instead, I did this because it's my passion. This is something that I grew up loving to do. My grandparents raised us and my grandmother was extremely influential, I was always in the kitchen with her. She taught us as we helped her, so I learned in a very natural way. 4. Italians are all about family, how do you incorporate this into your pizzeria? Some of the pizzas are named after our family members or the Italian towns and provinces we come from. For example, one of my daughters is named Bianca, which means "white," and so her pizza is a cheese pizza; My mother loves spice, so her pizza is named the "Hot Nori;" We have an olive pizza named after the city of Gaeta, as it's a place in Italy known for it's olives. We like to have fun with it. 5. What are some of the most positive and negative aspects of opening a pizzeria? The best thing is that we are doing what we love to do, what we grew up doing. It's amazing that we got to turn that into what we do for a living. The time spent away from family is what can be challenging, however you learn how to balance it. 6. You seem to have some unique pizzas, like the one topped with Nutella; can you tell us about some of them? We have a variety of unique pizzas. For example, we have the "Dessert" pizza, which is nutella with fresh fruit; the "Vincenzo," which is a Chicago style deep dish pizza; and the "Pescatore," which is one of our fish pizzas. We also make a variety of custom pizzas; for example, we have made pumpkin shaped pizzas for Halloween and heart shaped pizzas for Valentines with customers' initials on them. We also add a personal touch by writing messages on our pizza boxes, as opposed to having a general branded box. You may receive your order with a picture on the box, or perhaps a message like, "Thank you very much for your order, from The Menchellas." 7. What are your most popular pizzas? 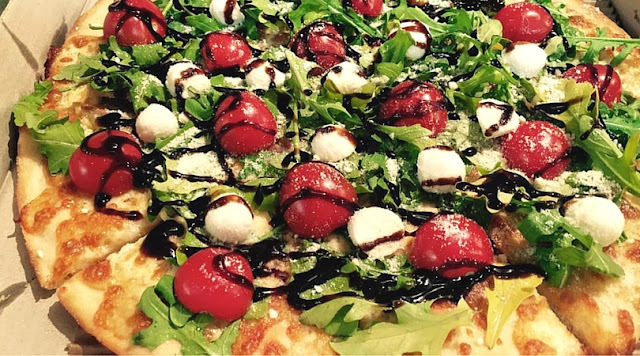 "The Gia," a nice fresh pizza with Arugula, cherry tomatoes, mini bocconcini, and a balsamic glaze; "The Menchella," a meat lovers pizza; and "Gianni Stecchino," named after a well-known Italian movie character, which includes fresh bacon, Italian pepperoni and mushrooms. 8. Last but not least, Viva la Dolce is all about celebrating what makes you happy in life. Tell us, what is your "dolce" in life? My "dolce" is having people share in our family traditions. It is nice to hear all the compliments and enjoyment, as it makes it all come full circle; it validates all the hard work our family has done. Most of all though, my "dolce" in life is getting a kiss from all three of my girls before I leave the house each day. Enjoy some pizza on the Menchellas! Enter below for your chance to win a $10 gift card!